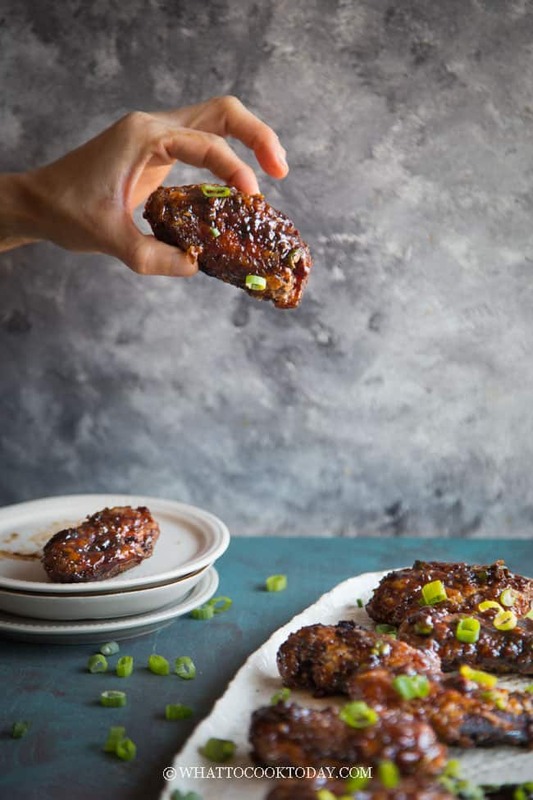 Ultra crispy chicken wings are coated in sweet, tangy, smoky easy homemade Jing Du style sauce will guarantee you can’t stop licking those fingers. 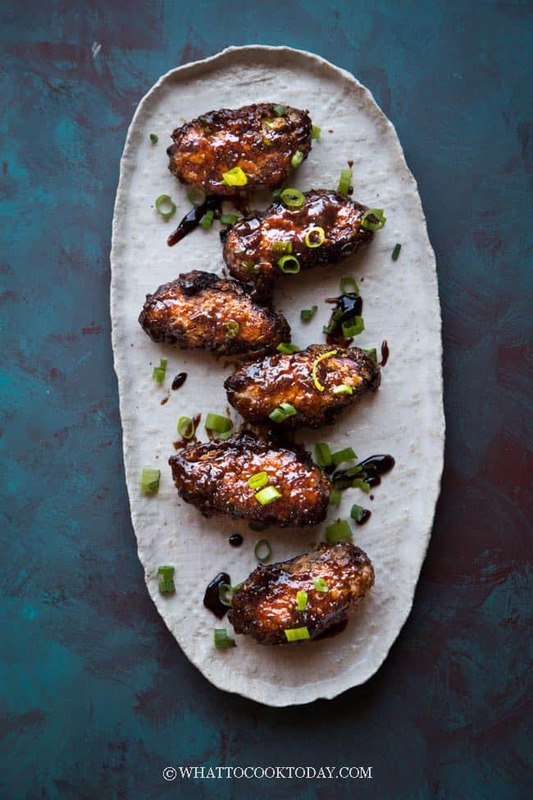 The inspiration of this crispy Peking chicken wings came from the famous Jing Du spare ribs coated with sweet, tangy, and smoky Jing Du sauce. 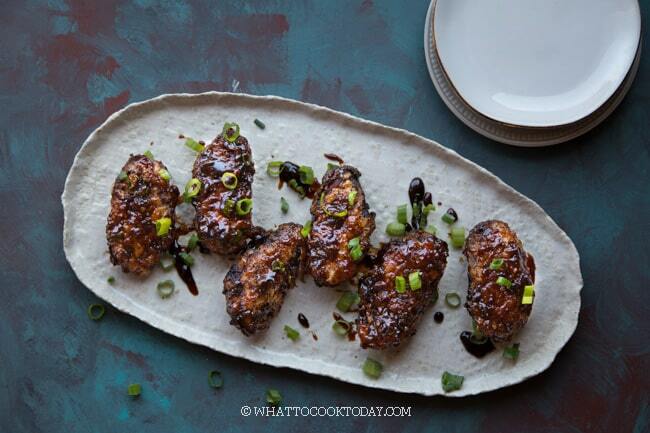 Some call this as Peking ribs, even though it isn’t originally from Beijing. 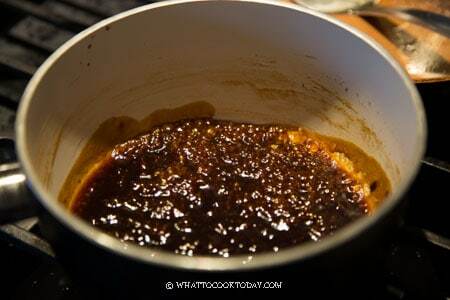 Jing Du sauce is quite different from Peking sauce that eaten with Peking roast duck. Peking sauce is made with sweet bean paste (tian mian jiang), sugar, and sesame oil. 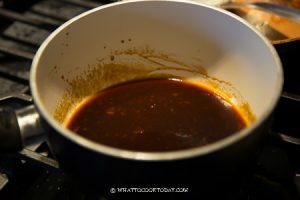 Though I must tell you that people from Beijing aren’t very familiar with this version of Peking sauce. 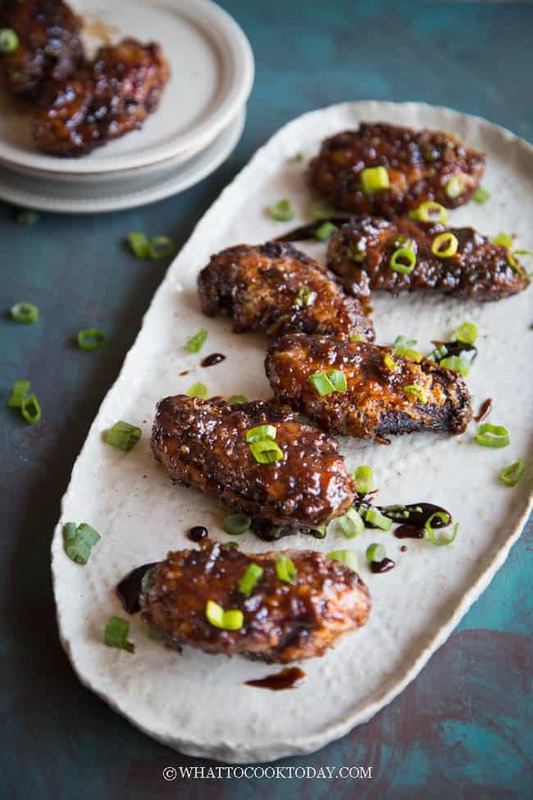 I think this is more of an adaptation for Chinese American cuisine. 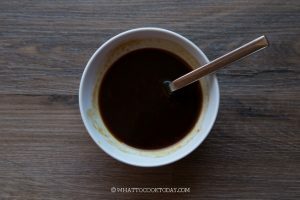 Most of the time though, people substitute tian mian jiang with hoisin sauce, which is somewhat similar, but I feel like hoisin sauce is sweeter compared to tian mian jiang. 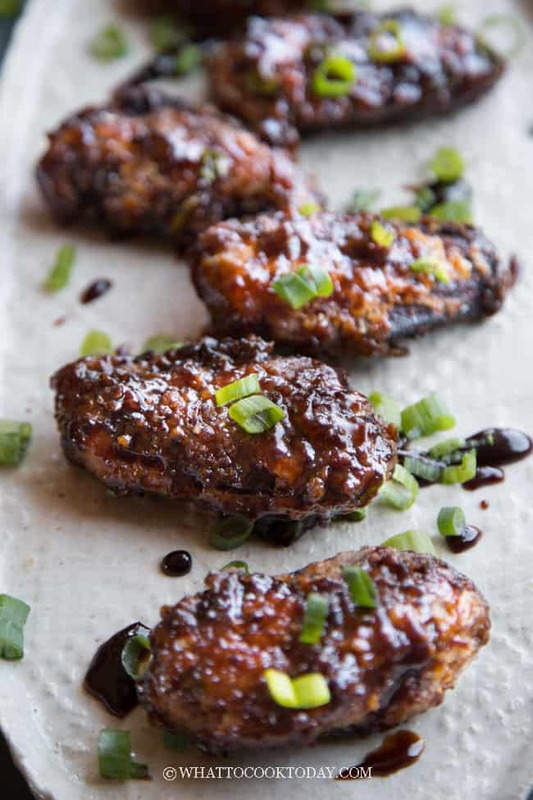 Jing Du sauce has a sweet, tangy, and smoky profile in it. Jing Du sauce is made usually made with Shaoxing wine, Worcestershire sauce, sugar, ketchup, dark soy sauce. I also added Chinese black vinegar and also a bit of plum sauce and it turned out amazing. 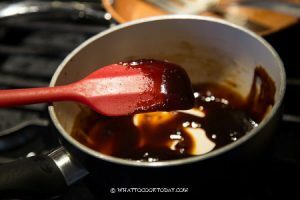 So the color of my Jing Du sauce is a bit darker compared to the usual more reddish Jing Du Sauce. Starch like cornstarch is very commonly used for deep frying compared to wheat flour in Asia. 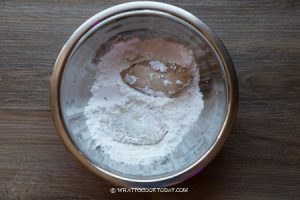 I’ve learned from Cook’s Illustrated that cornstarch contains higher percentage of amylose and amylopectin starch molecules compared to regular wheat flour. Those two starches that form crosslink and reinforce the coating structure and provide you with that crispiness. 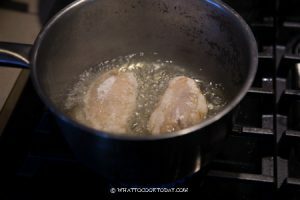 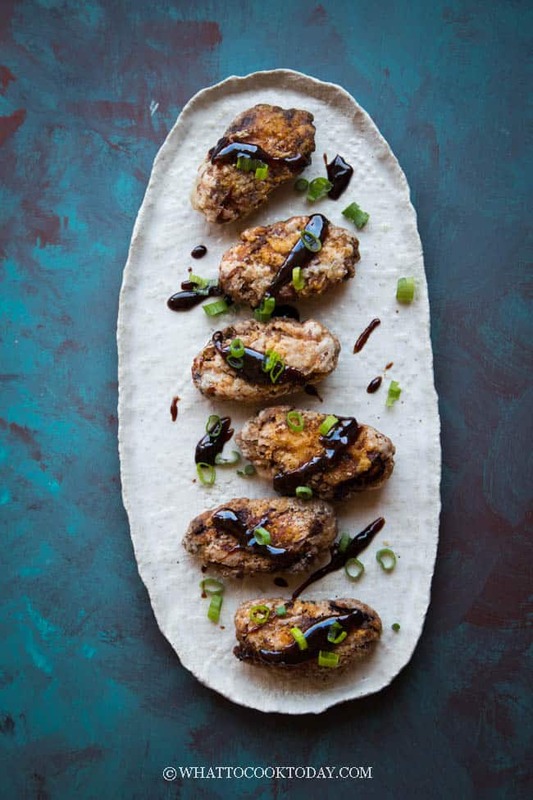 It’s no longer a secret that double frying the chicken wings (or pretty much anything) will really give you that extra crispiness. 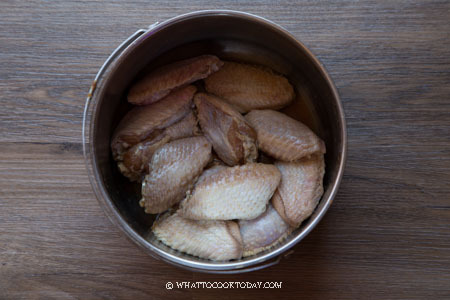 Here’s just to show you how the chicken wings look like before being smothered in the Jing Du Sauce. Here’s all coated with Jing Du sauce and garnished with some chopped green onion for some color contrast. The family loves the sweet, tangy, and smoky version of Jing Du sauce. 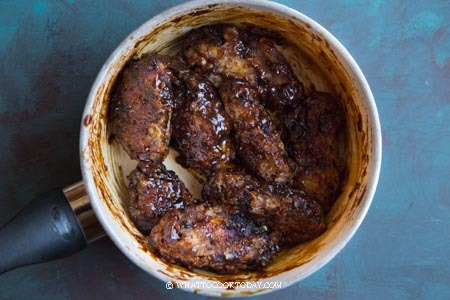 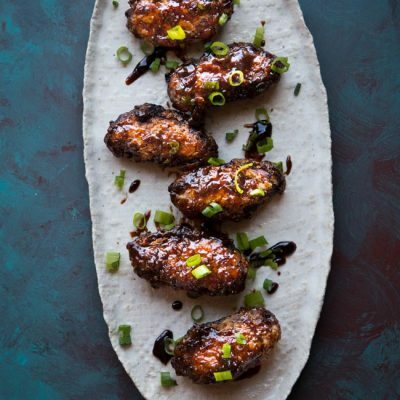 The addition of Chinese black vinegar and plum sauce really adds a nice tartness and sweetness to the sauce, which is perfect for a fried chicken wings like this. 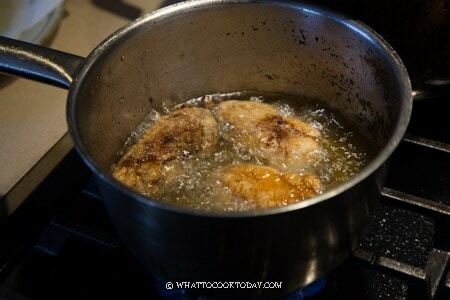 Seriously fingers licking good and the chicken stays crispy so much longer too. 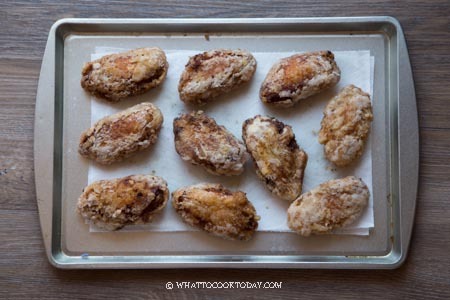 Will you please excuse me and my sticky fingers? 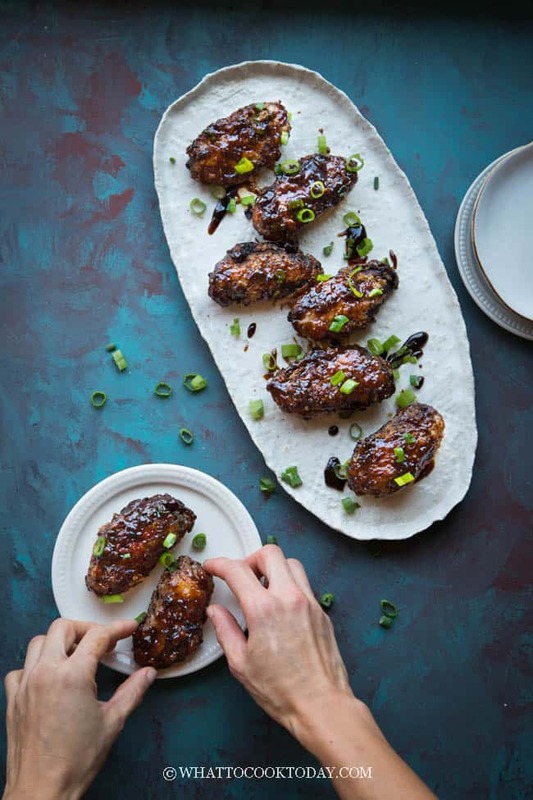 Ultra crispy chicken wings are coated in sweet, tangy, smoky easy homemade Jing Du style sauce will guarantee you can't stop licking those fingers.